I love working with entrepreneurs. There is usually an incredible story behind their business and they often have a very clear vision of where they want to take it. The products or services they offer are also really unique and so it's exciting for me to learn about them and then create images that showcase them best. A few weeks ago I was lucky enough to meet Peta, the woman who created the Personal Easy To Access (P.E.T.A) Pocket. 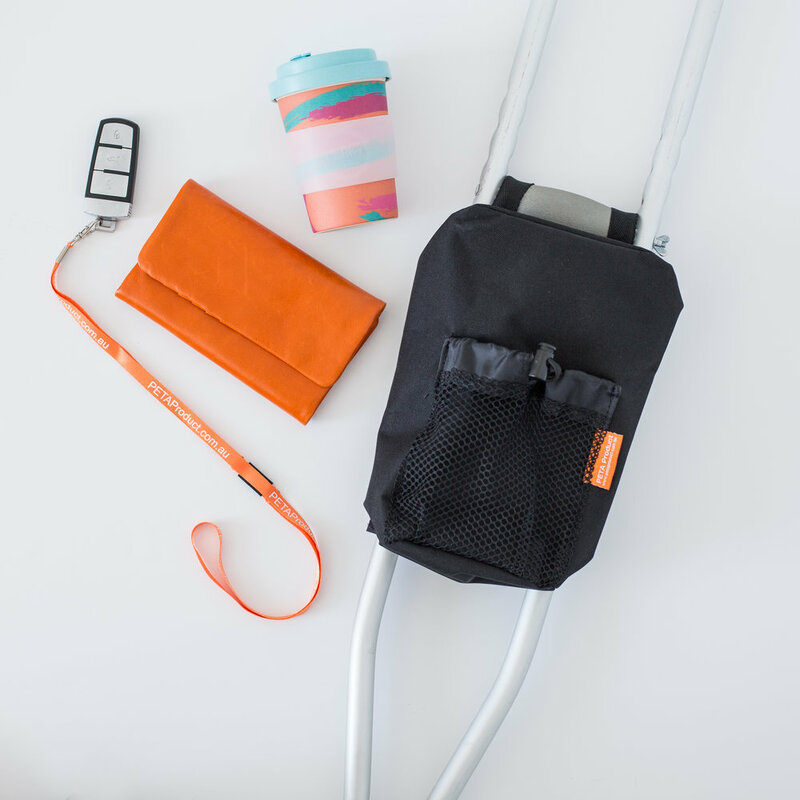 This pocket is designed to fit on crutches and carry your personals. How genius. As someone who was briefly on crutches once, how come no one had invented this until now??? Anyway, thanks to Peta anyone who finds themselves on crutches can maintain some of their independence by having a place to put their mobile phone, water bottle etc. People on crutches everywhere, rejoice! Fast forward a year later, Peta is walking again and her amazing invention is ready for the market! With the website almost complete Peta called me because she needed quality professional photographs of her product to populate the business' website and social media accounts as well as for printed brochures. I created a shoot plan with Peta over lunch after discussing some of her business' marketing strategies and coming up with ideas that would help showcase and sell the product. Peta was very happy with my suggestions and so we booked the session in and spent a fun morning creating a collection of product photographs in my home based studio a week later. Now that her business' website is live, I'm thrilled to be able to share some of the images created for it. I'm also excited to follow this story and look forward to seeing Peta's business grow! If you are in business and need professional photographs for your website including headshots, then please get in touch here. I'd love to learn about your business.